The start of the bank holiday weekend with the good weather proved a busy good Friday day for mountain rescue in Wicklow. The two mountain rescue teams that cover the mountainous areas of Dublin, Wicklow and surrounding uplands, were called in to action yesterday at 13:49Hrs for the first of two requests for assistance. At 13:49hrs today mountain rescue was tasked to an incident in Glendalough for a child who had sustained a lower leg injury whilst out walking. 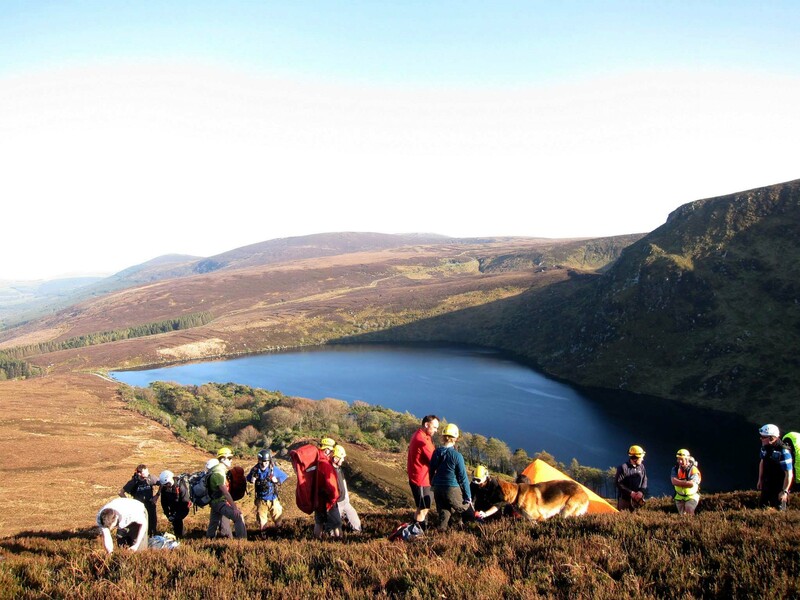 Members of the Dublin/Wicklow Mountain Rescue Team and the Glen of Imaal Red Cross Mountain Rescue Team responded to the incident and mountain rescue medics treated the child’s injuries before he was carried safely by stretcher off the mountain. Whilst mountain rescue was dealing with an incident for a young child with a lower leg injury in Glendalough, we were tasked by Ambulance Control for an incident involving 2 paragliders around Lough Bray Lower. Members of the Dublin/Wicklow Mountain Rescue Team and the Glen of Imaal Red Cross Mountain Rescue Team worked alongside Advanced Paramedics from the HSE to treat the casualties before the Coast Guard helicopter from Waterford (Callsign Rescue 117) arrived on scene and transported the casualties to hospital for definitive care.